Christin-I cannot say enough about Cindy's service. She was VERY easy to work with. 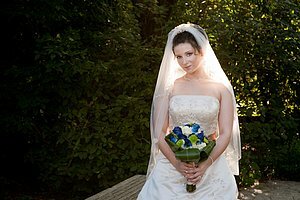 I wasn't the easiest bride when it came to pictures... I was specific on what type of pictures I wanted and I didn't give her very much time - or a good location - to work with. However, she completely came through and blew me away! Her pictures are beautiful and she really listened to what I wanted. 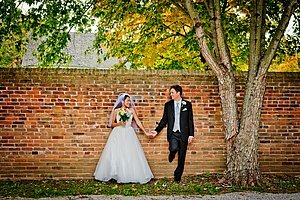 We were able to view our pictures online very quickly and I had my prints and photo album SO quickly... I was AMAZED at her response time. I am also in love with my album - she did such a wonderful job on it. She is very friendly and professional. I would highly recommend Cindy to anyone! Tara - Breathtaking! Not just the photographs but the service. As most couples in the beginning stages of planning a wedding we felt overwhelmed. We needed to find the prefect combination of a great photographer as well as stay within our budget. Cindy was the third, and last, photographer we met with. Within seconds of meeting her, we knew she would be professional, easy to communicate with and flexible. After the big day had passed she edited so many pictures, I don't know how she did it that quickly. I cannot thank her enough for putting her heart into the entire relationship. Hands down, Cindy is the answer. 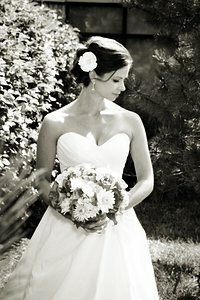 Olivia - Cindy provided an experience for our wedding that was completely out of this world. Cindy paid very close attention, and came very well prepared. She was always within arms reach to capture every moment. Without Cindy's expertise, courtesy, flexibility, and care, we would have been lost! Our pictures came back in and were astonishing. Sara - Cindy is amazing! I hired her from viewing photos on her site and without having met her first. We met before the wedding and she is so nice and easy to get along with. I had a great time working with her on the wedding day. And the pictures....Amazing! I could not have been happier. When I look at my photos, all of the feelings rush back from that day. She captured every moment, feeling, and emotion. This is what every bride should feel when looking at her pictures. Definitely a 5 star photographer for a great price. Mrs. D - Cindy was AMAZING!! The photos were breathtakingly beautiful. Would recommend to anyone. Price was wonderful for the extremely high quality of the photos. Cindy worked well with my large wedding party. Thank you for making my wedding day wonderful!! !